In the previous blog, we talked about how to craft a great opening, one of the 2 most important parts of your presentation, whether you’re in front of 2 or 2000. Do you know the second most important part? The ending. In this blog, I’ll show you how to craft an effective ending, and what to put in the middle, too. These tips work, whether you’re writing a course or doing a 3 minute persuasive presentation. In the middle of your presentation, add those stories, statistics, and visuals that support your point of view. By the way, as you create that presentation, jot down your point of view. If you’re doing a presentation to sellers, one of the major objectives of your presentation is to persuade them to your listing price point of view. What are the main, and frequently, unspoken objections my ‘audience’ will have? How do I educate them to show them the reasoning behind my point of view? So, use visuals to prove your points, not to merely show pretty pictures of houses (or whatever your topic is). Have you thought about your wrap-up? Or, like many presenters, does your ending sound like this? Well, that’s all. What do you think? I don’t have time to close. In fact, even the most professional presenters frequently have trouble with their endings. One of the main reasons is that they run out of time. Another is that they haven’t thought the ending through. Now, you’re all set to craft a great listing or buyer presentation, great recruiting meeting or sales meeting, or awesome product/service presentation to any audience. P. S. Practice, practice, practice! 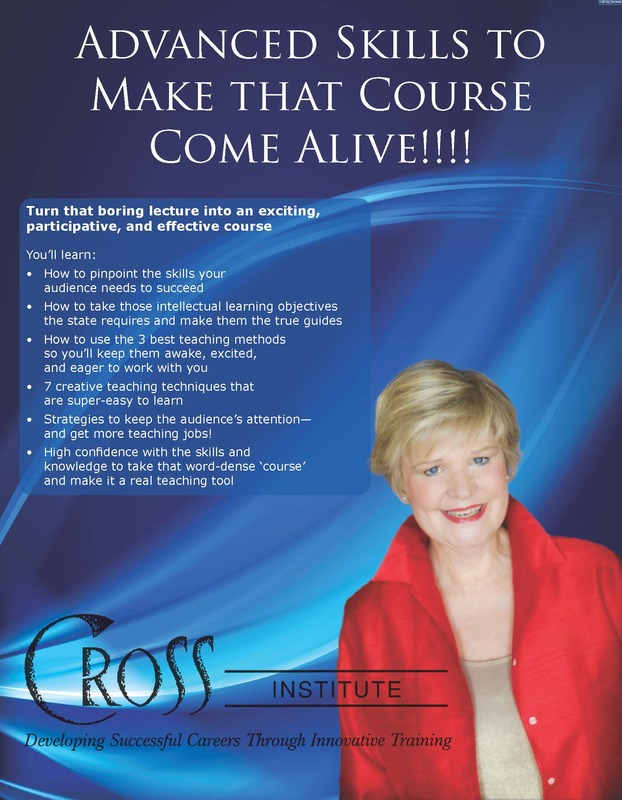 Only course offered this year: Nov. 1 and 15 (two half days) in Bellevue Wa. Click here for more information and to register. No other course/workshop like this! All new! This course goes way beyond any Train the Trainer workshop you may have experienced! This course has been created to help managers, loan officers, title reps, inspectors, and attorneys who teach. This course will stop ‘death by lecture’! If you’ve struggled to add ‘life’ to your dull course full of facts and figures, you’ll love this opportunity! And, company managers, you’ll love having Carla do a customized version of this course so you’re sure all your associates are teaching your material correctly and expertly! You’ll create greatly improved confidence AND gain more dedicated instructors! (Plus, dozens of teaching ideas to apply right away). Results: Much more confidence for each presenter and your company courses have continuity you can count on! Contact Carla (425-392-6914 or carla@carlacross.com) to find out about her customization just for you! Companies are realizing that they want their instructors to be really good, and their courses to be consistent and effective. Don’t get left behind. As you present: Here’s how to start any presentation. How do you start your listing or buyer presentations? 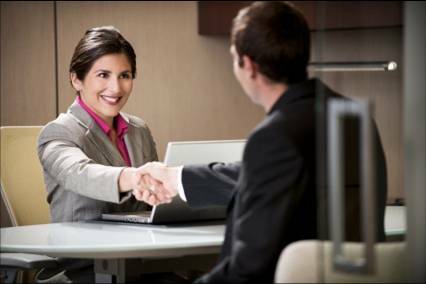 As newer agents, especially, we tend to want to establish our credibility by talking–a lot. But, that doesn’t work. Why? Our clients stop listening. Quit putting them to sleep! Here is a quick, very effective presentation skill to get their attention and keep them attentive as you reveal your expertise. 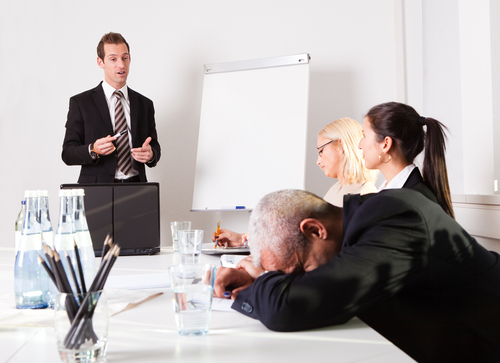 Are your presentation skills putting them to sleep?August is my designated Trainer Appreciation Month. So, I’m featuring blogs, videos, and resources about training. And, the same skills apply, whether you’re presenting to 2 or 2000. Presentation skills–or the lack of them–makes or breaks any classroom or listing experience. Go ahead. Admit it. 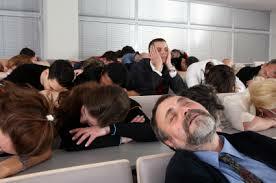 The last real estate presentation you attended had you bored to tears,not eager, in the first two minutes! 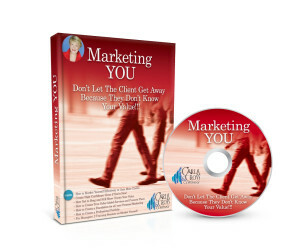 And, it got worse from there……..and it really got worsewhen the presenter said, “We have a lot of material to cover”–and you wished the presenterwould just end it all by throwing a snuggly blanket over all of you…..
Don’t let that presenter be YOU! Here is most important skill you’ll have to master to be one of those exciting salespeople/presenters, not one of the boring ones:Do something to get your audience (can be one seller or buyer–that’s an audience) engaged in the first two minutes of your resentation. You may think that presentation tips are only for those famous keynoters. No….they are for any salesperson who wants to convert a ‘lead’ to a ‘sale’, any manager who wants to train effectively (and have your agents eager to attend training, and anyone who needs to persuade someone in 3 minutes–you title and mortgage reps, for instance). Want to Put Creative Presentation Methods into YOUR Course? Unfortunately, most courses are written as ‘factoid streams’–pages and pages of material that suggest the lecturer just drone on. But, that’s not effective in the classroom. How do you change that factoid-heavy, boring course into something exciting? How do you make it a better learning experience? Join me Sept. 12 and 14 in Bellevue, Wa. (2 half days) for my unique course, Beyond the Basics: Advanced Skills to Make that Course Come Alive! Using the course you want to teach, or are teaching, we’ll put in teaching methods that keep the audience’s attention and help them learn better. You’ll get a chance to try it out, and get feedback from Carla, too. Results: It will be much more pleasant for you as an instructor! Space is limited, to register now! $149. Why meeting buyer qualifying criteria is important: Buyers today have many choices of how to find homes. You need to create competitive reasons to help buyers choose you. It will save you time and money (more about that in a later blog, too). And, if you’re a newer agent, creating solid reasons to help buyers choose you will increase your self-confidence 200%. My advice to buyers: Listen to be sure the agent specializes in residential real estate. You want someone selling homes for a living, not apartment houses. Listen to see if this is the agent’s full-time career. Ask additional questions if the agent’s answers need more clarifying. My advice to buyers: You want someone successful; that means, at minimum, the agent sold homes to buyers at least six times in that year. My advice to agents: Show the homes you’ve sold along with testimonials from happy buyers. My advice to buyers: Be sure the agent has been working in the area where you want to purchase for at least six months, so you know the agent has expertise and interest in that area. My advice to agents: Show your career path. If you haven’t been selling long, show how what you did before has prepared you as a pro (can include the training you’ve completed, too). My advice to buyers: Listen to be sure the agent zeros in on the area and price range you need. If the agent says, “I work anywhere with anybody”, that agent may not be for you, for he may be trying to cover too much ground to know very much about specific areas. My advice to agents: Show homes you’ve listed and sold in their areas of interest. My advice to buyers: Listen as the agent describes the buying process, as he views it. Does it reflect what you’re looking for? Agents: Think These Criteria are Too Tough? Did some of those questions and my advice to buyers make you defensive and argumentative? That’s because we agents tend to look at things ‘inside out’ (from our perspective). Instead, pretend you are a discriminating buyer. You’re going to spend $60,000 on a car. What kind of customer service do you expect? Now, think in terms of the real estate buyer. What kind of service should a real estate buyer expect? Newer Agents: Panicked Because You Think You Can’t Qualify? Relax. You don’t need to qualify on all terms. But, you need to have answers and explanations ready so you can provide buyers reasons to work with you. Advice: Educate yourself so that you are as well-prepared to help a buyer as an agent who has sold 100+ homes in his/her career. What do you think? Are these qualifications too tough? Too lenient? What else should buyers ask? Your Complete Buyer’s Agent Toolkit–-all the presentations, checklists, and skills you’ll need to create loyalty with buyers and compete with mega-agents. This is a goldmine for those who want to be masters of working with buyers! I just put the latest National Association of Realtors statistics in the Toolkit–it’s a bonus for you to answer buyer objections. Don’t miss a buyer because you’re not prepared! This will ‘wow’ your buyers and they’ll become grateful clients for life! In the previous blog, we talked about how to craft a great opening, one of the 2 most important parts of your presentation, whether you’re in front of 2 or 2000. (like a listing presentation) Do you know the second most important part? In this blog, I’ll show you how to craft an effective ending, and what to put in the middle, too. Key: Don’t rely on just your words. Use visuals to support your claims–and visuals from trusted sources. Many more tips on presentations and presentation skills are in my new resource, Knock Their Socks Off: Tips to Make your Best Presentation Ever. Whether you’re doing listing and buyer presentations, or sales meetings, or 3-minute ‘get in front of them to sell your services’, you’ll love this resource. 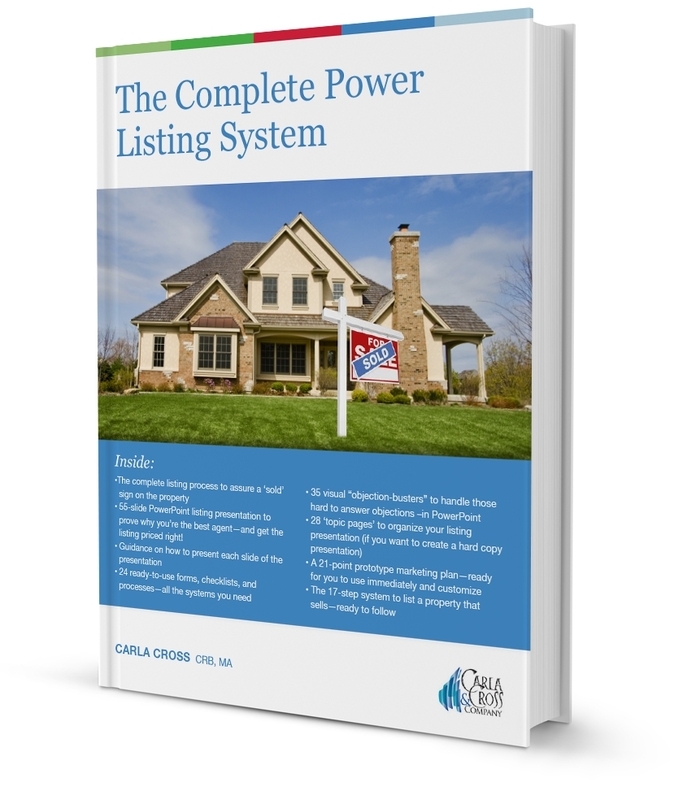 Got your listing process down like a real system? Does it work for you every time? If not, why not get the resource that is comprehensive–from your first seller meeting, to your presentation, to creating clients for life. You’ll see your profits soar and your time used more effectively. 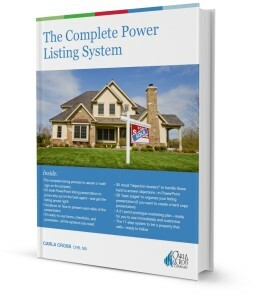 See Your Complete Power Listing System here. Presentations: Knock ‘Em Dead with a Great Opening. Do you do listing and buyer presentations? Of course! Have you thought about how you start your presentations? Most of the time, we just get in front of people and say whatever we think of first. That leads to some big presentation mistakes, and costs us ‘sales’. Instead of stumbling through a presentation, why not organize it to grab their attention, persuade them to your way of thinking, and motivate them to action? You can. Think about it. Real estate salespeople: When you’re doing a listing presentation, what do you want to happen? You want them to sign the listing agreement when you’re done. So, it’s extremely important that you organize your listing presentation using a persuasive format, not just an information-heavy dialogue flow. In this blog, we’ll discuss great openings–one of the 2 most important parts of any presentation. 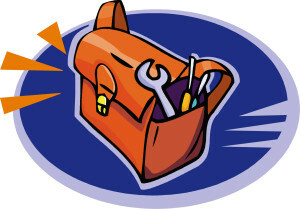 I just attended a Train the Trainer’ session (yes, I still learn great stuff every day! ), where the trainer said it was important to engage the audience in a meaningful way in the first two minutes of your presentation. I think that’s a great rule to follow today, because people’s attention spans are the length of a gnat’s eyebrow. So, the next time you attend a presentation, see how much time elapses before the speaker/presenter/trainer gets the audience into meaningful action. I don’t mean to ask a rhetorical question, either! Want many more presentation tips for your next meeting, listing or buyer presentation, or sales presentation? Check out Knock Their Socks Off: Tips to Make your Best Presentation Ever. Is Your Listing Presentation Effective? Do you list every property you want to list? Do you always get listings at a salable price? Do you get dozens of referrals from satisfied sellers? If not, check out the all updated resource, Your Complete Power Listing System. You’ll get the updated statistics you need to prove what you know to be true. You’ll impress sellers and create ‘clients for life’. Check it out here. 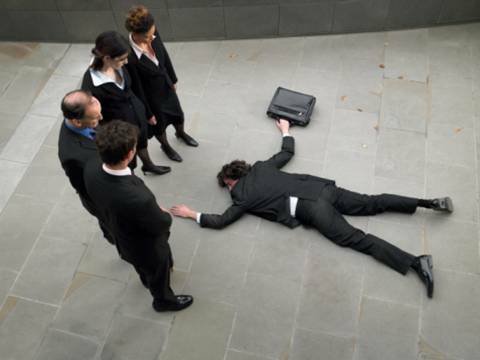 Are Your Presentation Skills Costing You $$$? Do your presentation skills cost you money? Sometimes we’re so focused on technology and education that we forget this is a “people business”. And, a great deal of the money you make comes from your ‘point of contact’ skills. What do I mean by that? Lead generating dialogues and presentation dialogues. Yet, how much do we work on those verbal skills? Unfortunately, communication sales skills have gotten short shrift in the last decade. Why? I think it’s because many of us are so challenged by technological changes. But, slow down. Think about how you actually make money. It’s at point of contact. Getting better at point of contact skills translates into more money in less time. Everyone in the real estate business presents: Agents present, when they are doing listing or buyer presentations. Managers present when they are recruiting, or doing their office meetings. Mortgage and title reps present when they are in front of a group of agents in an office, talking about their services. So, doesn’t it make sense to become ‘killer’ at those presentations? You’ll double your money and halve your time. work in spite of us, not because of us? As a musician, I know the thrill of performing at high levels. So, open your mind and consider stepping up to a higher presentation level. Not only will you have personal satisfaction, you’ll make more money! In the next blog, I’ll give you 3 specific methods to increase your presentation skills. What in the world do the Beatles have to do with real estate pros success? A lot, I think. We’ve all heard of Paul, George, Ringo, and John—but, does the name “George Martin” ring a bell? Maybe. Martin was the record producer who discovered and molded the Beatles, adding his classical musical background to the Beatles’ creativity to produce the Beatles’ unique and ever evolving sounds. 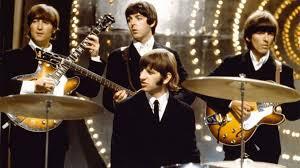 As a musician myself, I’ve always marveled at how the Beatles put classical musical aspects into their rock ‘n roll. Well, guess what? They didn’t do it by themselves—they melded their talents with Martin. George Martin just died at age 90, and many articles are being written about his collaboration with the Beatles. As I read these articles, I was thinking, “These life and performance lessons are absolutely applicable to us real estate professionals.” So, I culled five life and performance lessons we can learn from their association. Here are the first two, and I’ll continue in my next blog. Keep improving your and your team (if you have one) until you are working with the best. Martin urged Beatles’ manager Brian Epstein to replace drummer Pete Best with Ringo Starr, who he felt was a better drummer. Is your team the strongest it can be? Who’s holding you back? Who’s hindering your best performance? Who do you need to replace? I know, as an ensemble musician, you never play any better than your worst player! Start every listing, buyer and training presentation with an attention-getting ‘hook’. 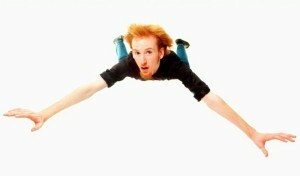 Quit that boring droning that begins most presentations! Instead, do what Martin suggested: Start with a ‘hook’. Martin suggested Paul McCartney replace the first verse of Can’t Buy Me Love with the ‘can’t buy me love’ intro. That’s the hook, and we never forget it, do we? Do your listing/buyer and training presentations start with something attention-getting, or do you ‘ease into’ your presentation with banal comments like ‘I’ll keep this short’ or ‘we’ve got a lot to cover’. Stop being banal and get creative with your opening (we practice this in my Instructor Development Workshop and I teach this in The Ultimate Real Estate Trainer’s Guide). Are you working with the best people? If not, why not? What do you need to do with your business to become all you are meant to be? Who’s Your Partner in your Success? Are you trying to ‘go it alone? After all, real estate is an ‘independent’ business, right? But, studies show that virtually no one success alone. Why? Because we don’t see ourselves as others see us. We sometimes need some coaching, mentoring, or even a kick in the pants! If you’re at the point in your career where you’re ready to break through that ceiling of achievement, check out our one-on-one unique coaching program, Career Achievement. Request a complimentary consultation here. Can You Answer: Why List with Me? How would you answer this question, “Why should the seller list with you?” You’re not just flying by the seat of your pants on this, are you?……. At our last Masterminds, Steve Hicks, master farmer, was our guest. He asked agents to answer the question, “Why list with me?” How will you answer the question? Isn’t that the question in the backs of sellers’ minds? 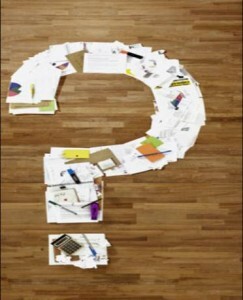 Isn’t that the question buyers ask themselves to see if they want to sign a buyer’s agency agreement with you? So, write now, write 5 reasons sellers should list with you. Ask yourself: Is that a good enough list to compel the seller to list with you? Can you prove your statements? Are these reasons above and beyond what another agent will give? Actually, sellers don’t really ask that question. Instead, that’s the question that’s in the back of their minds. They expect you, through your pre-listing package, through your presentation, and especially your proof and visuals, to show you are not just another agent. And, no–you can’t wait until they list with you to prove it. You must prove it before that listing agreement is signed. Ask yourself: Are those really exceptional services, or, do most agents do them? How are you showing them? How can you prove it? Do you have a pre-listing package that shows how you work, has your testimonials, and proves that you are exceptional–that you prove added value? For buyers, do you have a pre-first visit package that does the same thing? If not, you are leaving it to chance. So, right now, start putting everything you think you’d want in those packages so you have them ready. I don’t want you to miss another opportunity! If you struggled answering the points above, or if you’re not satisfied that they’re strong enough, you need this resource. Check it out here.